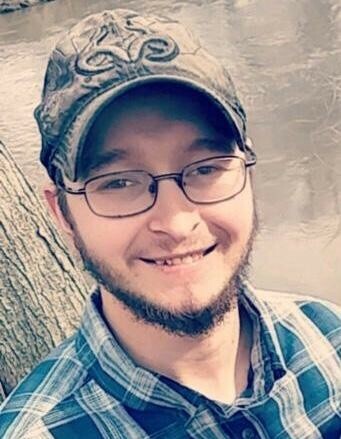 Christopher C. Sage, 25, of Morton, IL, formerly of Monmouth, passed away at 3:58 p.m., Wednesday, November 21, 2018. He was born on September 8, 1993 in Monmouth, IL, the son of Darrell Dean and Lisa Marie (Ross) Sage. Christopher was raised and educated in Monmouth and graduated from West Central High School in 2012. Christopher worked as a laborer. He was very adventurous and enjoyed hunting, fishing, and spending time with his children. Surviving Christopher are his two daughters, Ella Sage and Leah Hannegan, both of Monmouth, IL; his parents, Lisa & Corey Miller of Williamsfield, IL, Darrell & Martha Sage of Monmouth, IL; two brothers, Austin Cirrincione of Williamsfield, IL, Chase Sage of Monmouth, IL, five sisters, Helena Sage of Monmouth, IL, Kya Sage of Monmouth, IL, Grace Miller of Abingdon, IL, BreAnna Ewing of Chillicothe, IL, and Aurora Miller of Abingdon, IL. Also surviving are his maternal grandparents, Judy (Donny) Blakley of Oquawka, IL, Mark (Shelly) Ross of Texhoma, OK; paternal grandparents, Linda (Stan) Montgomery of Monmouth, IL, Sherry (Steve) Bishop of Oneida, IL; grandfather, Bob Miller of Williamsfield, IL; great grandmother, Billie Ross of Monmouth, IL, and fiancé, Kayla Lovings of Morton, IL. He was preceded in death by his paternal grandfather, Darrell Sage, Sr.; grandmother, Annie Miller, and dear friend, Joshua Derry. A Gathering of Family & Friends will be 5:00-7:00 p.m., Friday, November 30, 2018 at McGuire & Davies Funeral Home and Crematory, Monmouth. Cremation rites will be accorded following the gathering. Memorials can be made to the Christopher C. Sage Memorial Fund.